I’ve updated my showreel with my latest work over 2014, but it’s a little sad that I can’t show work from my last two work experience, it was pretty epic! Head over to my showreel tab above if you want to check it out! Aside from that, here are my two latest assets for Cardboard Keep – Warden Melody of the Undergrowth. 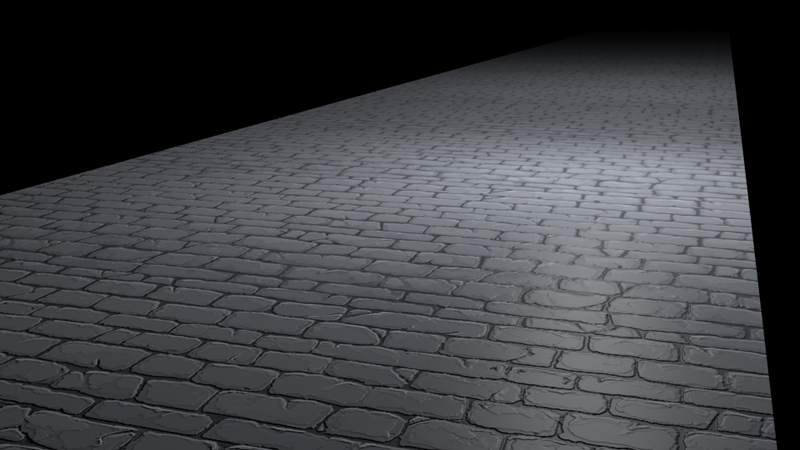 I also attempted to make a seamless brick texture that worked surprisingly well! 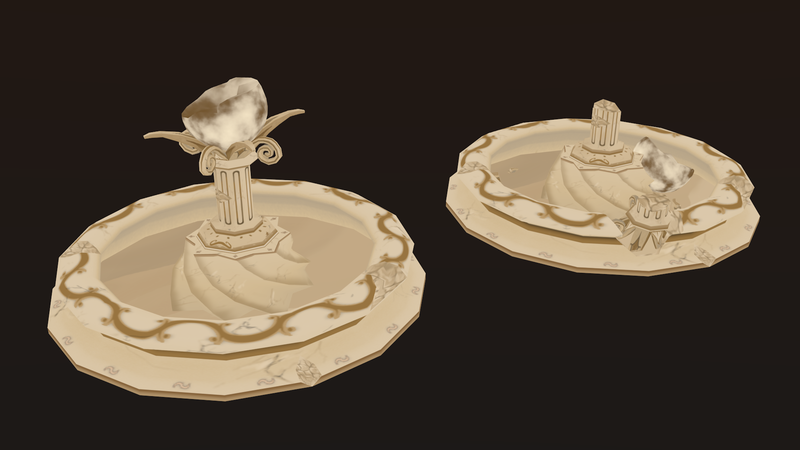 The two assets are also included in the showreel with a turntable animation. 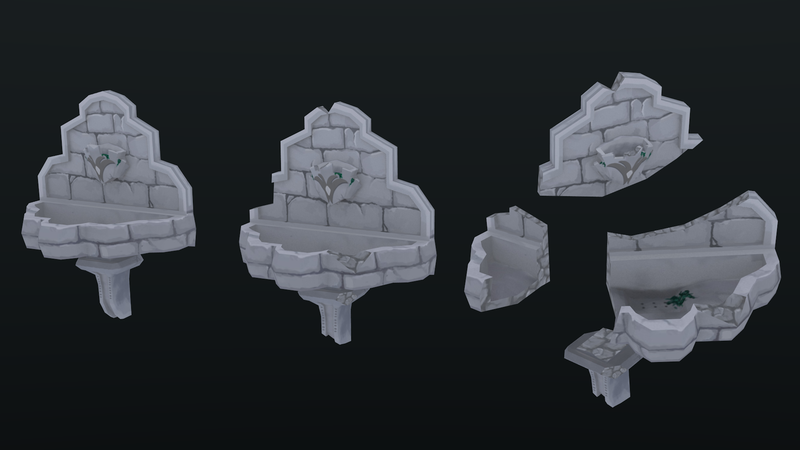 Here is a fountain that’s meant to be put up against a wall. In the scenario it would be among ruins, all sides are closed and textured. Similar to other submissions, I have made three stages of destruction to the asset, which all share the same texture map for efficiency. 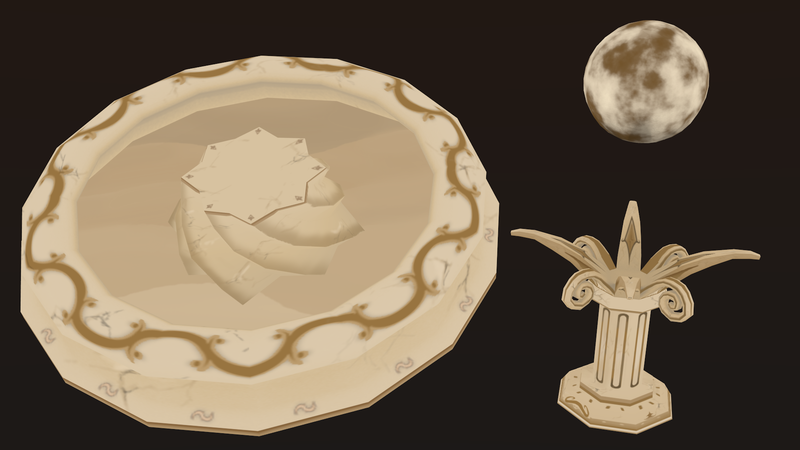 The textured were all hand painted, with the aim of suiting the game’s existing art style. 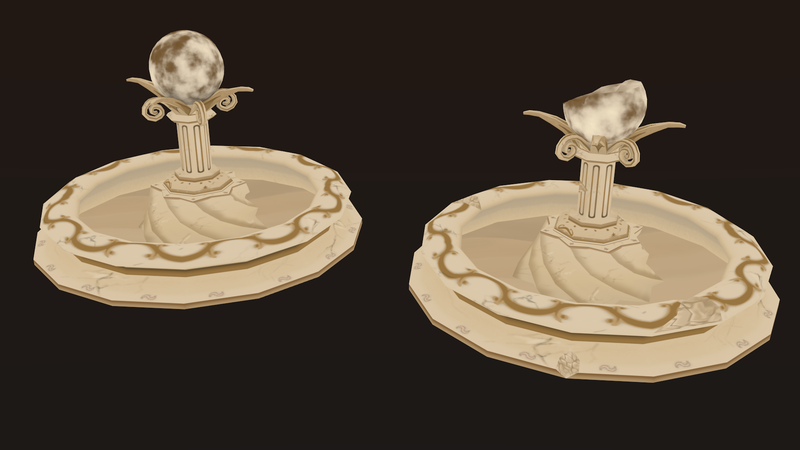 The other submission I made earlier on was a larger fountain. With purpose of being an interactive piece of the environment, this asset was comprised of three pieces that could be reassembled. 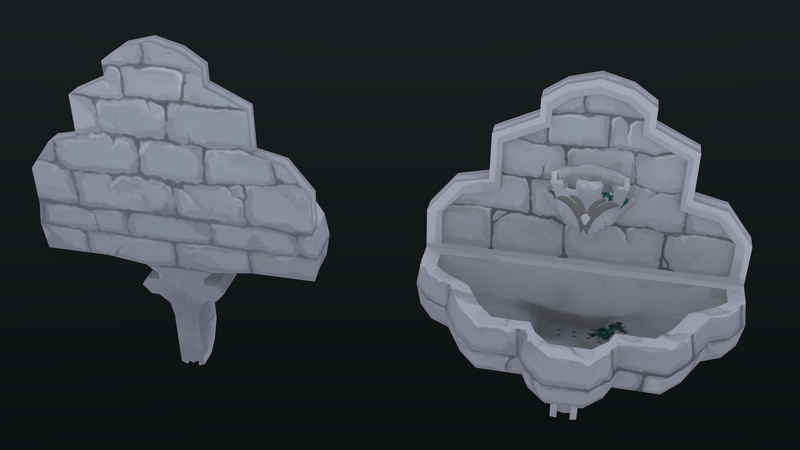 Players are able to jump into the fountain. Like wise it has three stages of destruction. To suit the rest of the environment, this seamless brick texture was made in tandem to the wall fountain. Posted in Blender, Generalist, Modelling, TexturingBookmark the permalink.